The Access Virus TI2 Polar keyboard synthesizer is a compact powerful synth with a beautiful finish. The side panels are a mix of wood and aluminium and the white LEDs add to the stark look. The 37 semi-weighted keys give you the freedom to create and perform without taking up too much space in your setup. 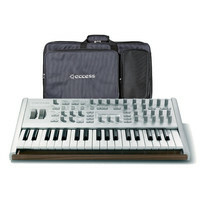 This keyboard comes with the TI Polar bag for you to carry it around with! The Ti2 Desktop boasts an all-metal enclosure with a wooden strip on the front. 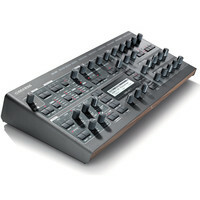 It has loads of knobs and buttons which give you direct access to the most important sound shaping parameters. Like all other Virus Ti synthesizers a stereo analogue input offers the power to process external signals through the Virus sound engine. The Access Virus TI Snow is the ideal companion for live musicians and for those who want to take a powerful but compact synth to a jam session. Over a thousand sounds can be accessed with a maximum of 4 button pushes. With 3 programmable hardware knobs per patch and additional ones for filter and envelope control performers can control the core of the sound without having to dive into an edit menu. The TI Desktop boasts an all-metal enclosure with a wooden strip on the front. 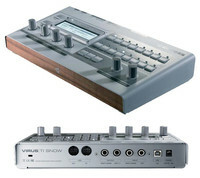 It has loads of knobs and buttons which give you direct access to the most important sound shaping parameters. Like all other Virus TI synthesizers a stereo analogue input offers the power to process external signals through the Virus sound engine. 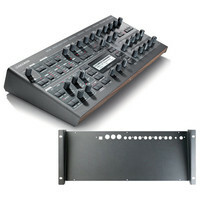 This Ti2 Desktop comes with a rackmount kit. The Access Virus TI2 deluxe Polar bag is a durable padded gigbag that is perfect for taking your Virus TI2 Polar on the road to a gig or to the studio. Carry it using the cushioned handle with velcro lock the adjustable shoulder belt or on your back with the two shoulder straps. 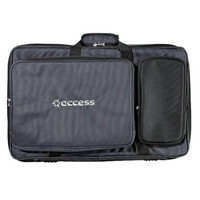 Two outer pockets include a padded pocket for laptop storage and an additional pocket for cables and accessories. 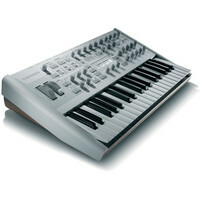 The Virus TI2 Polar Keyboard Synthesizer was designed as the ideal companion to any DJ or project studio. A compact and slick-looking 37-key keyboard the Polar features side panels which are a mix of wood and pure aluminium. It also boasts white LEDs which add class and style. But of course the Polars sound engine is exactly that used in the powerful and versatile TI Desktop and Keyboard models.